Gut microbiota - the population of microbes that live in our intestine - can be used to predict the occurrence of colorectal cancer, the second most common type of cancer in women and the third in men. The European Advanced infraStructure for Innovative Genomics (EASI-Genomics), a project funded under the European Union's research and innovation programme Horizon 2020, will provide researchers free-of-charge access to cutting-edge European genomics facilities. The ability to read the genome - all the DNA of an organism - has vast potential to understand human health and disease. A comprehensive analysis of sewage collected in 74 cities in 60 countries has yielded the first, comparable global data, which show the levels and types of antimicrobial resistant bacteria that are present in mainly healthy people in these countries. At Anthony Nolan we save the lives of people with blood cancers and blood disorders that need a stem cell transplant. Advances in genetics and genomics have taught us that every single tumor is different, and yet most standard therapies treat them all in the same way, limiting the effectiveness of treatments offered to many cancer patients. Lab instruments are important tools throughout research and health care. But what if those instruments are leaking valuable information? The new Deeplex®-MycTB mycobacterial antibiotic resistance test1, developed by GenoScreen, has been used by an international research team in a molecular epidemiology study published in The Lancet Infectious Diseases. 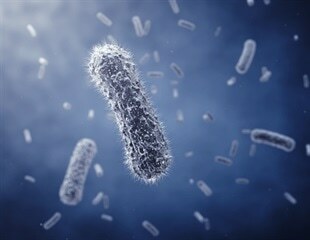 The human gut contains trillions of bacteria that form the gut microbiome or microbiota. A new research has linked the composition of this gut microbiome and depressive disorder. The NHS is going to start providing genetic tests in exchange for patients in England who agree to share their genomic data so that it can be used for research.